Right in the middle of action! The LUP-Buslinie 7, directly in front of our doors (Stop Rödlgasse), takes you in only 10 min from the main train station directly to the Lounge Bar. Moreover, there are four more lines which are stopping close to the ALFRED. 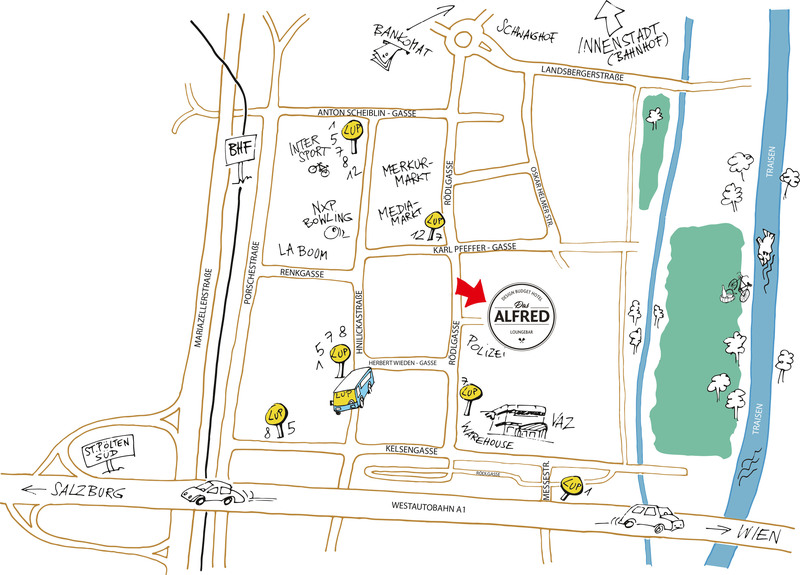 If you need a taxi - our cooperator “Taxi mit Herz” drives you to the hotel at special price - Codeword “ALFRED” via Phone: +43 2742 / 72 000. Das Verkehrsservice der Stadt St. Pölten. 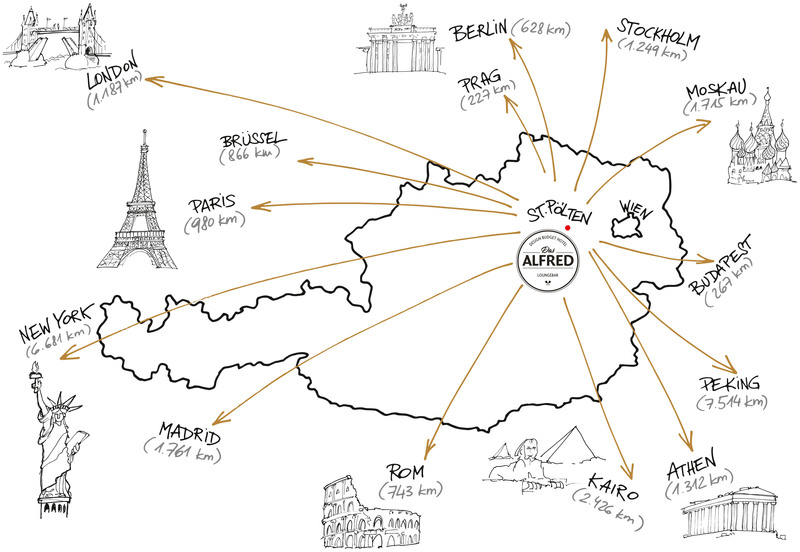 All roads lead to ALFRED.